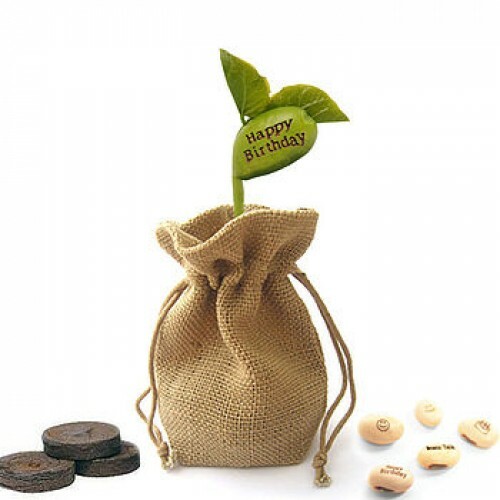 This innovative gift set contains everything they need to grow a special message in an attractive jute bag suitable for any window sill or table. Beanstalk magically grows beans which pop up a special message. Choose between Love, Congratulations or Happy Birthday. Each bag contains: 5 message beans, soil pellets, colourful watering beads and instructions. Just add water and the self watering gel and soil will expand in the bag. Add the seeds and put the bag in a warm place to watch the message grow!